Assistant Vice President of Community Engagement at Pitzer College Associate Professor, Urban Studies. Before coming to Pitzer in 2006, Tessa worked for almost a decade as a program director with a number of leading civil rights and social justice organizations in Los Angeles. 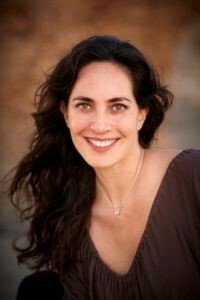 She has a Masters and PhD in Cultural Studies from Claremont Graduate University and a BA in Psychology from UC Santa Cruz. Tessa holds a joint faculty-administrator position at Pitzer and in that capacity has worked on a number of policies, programs, and organizational structures related to community engagement and collaborative research, spanning the co-development of community-campus partnerships related to prison education, local Native American tribes and critical mentoring, among others. Tessa’s teaching and scholarship center on community-based education and research, social change theories and movements, decolonization and indigenous knowledge, and prison education and abolition. Tessa enjoys bringing diverse groups together for collaborative projects that build community and foster personal and systemic change. 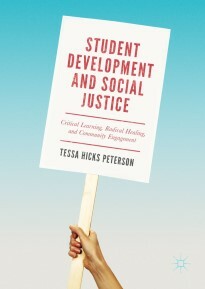 Student Development and Social Justice: Critical learning, radical healing and community engagement. Palgrave McMillian, 2017. “Critical Learning, Radical Healing, and Community Engagement in Prison.” Diversity & Democracy, Association of American Colleges and Universities. Vol. 21, No. 1, Winter, 2018. “Partnering With Youth Organizers to Prevent Violence: An Analysis of Relationships, Power and Change,” Progress in Community Health Partnerships: Research, Education, and Action, Johns Hopkins University Press. Vol. 4, No. 3. Fall 2010. With T. Dolan and S. Hanft. “Engaged scholarship: reflections and research on the pedagogy of social change,” Teaching in Higher Education: Special Edition, Vol. 14, No. 5. Fall, 2009. “Humanizing the Other in ‘Us and Them.’” Peace Review: A Journal of Social Justice, Vol. 18, No. 4. Fall, 2006. “Framing Pitzer’s Practices of Critical Engagement” in Peterson, T., Ed., The Pitzer College 50th Anniversary Engaged Faculty Collection: Community Engagement and Activist Scholarship. p. 8-18. Claremont, CA: Pitzer College, 2014. Afterword. Howard L. Bingham’s Black Panthers, 1968. Los Angeles: Ammo Books, 2009. 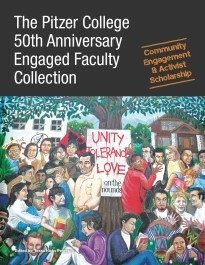 Editor, The Pitzer College 50th Anniversary Engaged Faculty Collection: Community Engagement and Activist Scholarship. Claremont, CA: Pitzer College, 2014. “Healing Pedagogy from the Inside Out: The Tensions of Liberatory Education in Prison” in Ginsburg, R., Ed. Critical Examination of Prison Education. Routledge Press. With Jerrad Allen and Oswaldo Armas. “Critical Community Engagement,” invited talk at the final sessions of Engaged Practitioners, a year-long colloquium on community engagement at the Department of Postsecondary Teaching and Learning at the University of Minnesota, Twin Cities, Minneapolis, MN, April 2014. Professor Hicks Peterson presented the efforts of her three-year long partnership with community organizers of ICUC (Inland Communities United for Change), along with community partners, Tom Dolan and Rocio Ruiz, on the topic of their recent article, “Partnering with youth organizers to prevent violence: An analysis of relationships, power and change” at the annual conference of Community- Campus Partnerships for Health in Portland, OR, May 2010. “Building a Comprehensive Response to the Challenges of Globalization: Engaged Scholarship both Locally and Globally,” Presented at Association of American Colleges and Universities Conference. With K. Dengu-Zvobgo. Seattle, WA, January 2009. “Community-based, Action Research and Community Organizing,” Presented at the International Partnership Institute. With T. Dolan and I. Arguayo. Portland State University, Portland, OR, May 2009. “Integration or Fragmentation? Locating Spirituality in the Profession and Movements of Social Justice Activism.” Paper presented at the Media, Spiritualities, and Social Change Conference, co-sponsored by the University of Colorado at Boulder and Naropa University, June 2008. Steering committee organizer: an annual conference on the praxis of activism, arts and academia in addressing reconciliation and community-building in post-genocide communities, with a focus on Rwanda. The conference is entitled, “Arts in the One World”, co-sponsored by Cal Arts University, Brandeis University and Theatre Without Borders. The Community Engagement Center was awarded a grant from the California Council for the Humanities to operate and expand its Borrowed Voices programming at Camps Afflerbaugh-Paige. April 2010. Professor Hicks Peterson received a Bringing Theory to Practice: Engaged Learning, Student Civic Development and Student Well-Being grant from the American Association of Colleges and Universities. April 2010.